Any resident of Massachusetts is welcome to get a library card. Additionally, non-residents who work, own property, or attend school in Massachusetts are qualified to apply for a library card. Apply in person at the library or online. *All regular library items are renewable up to 5 times if no one else has put them on hold. The Medfield Public Library is a member of the Minuteman Library Network. 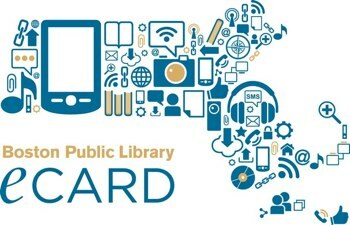 Library cards obtained at any Minuteman Library Network member library, including the Medfield Public Library, will be valid at all member libraries. Additionally, materials checked out from any Minuteman Library Network member library can be returned at all member libraries, unless otherwise specified. Find a full list of Minuteman Library Network member libraries here. Patrons will be charged 25¢/day for each regular item that is overdue. Patrons will be charged $1.00/day for each quick item that is overdue. The maximum fine that can accrue for each item is $5.00. All regular items are renewable up to 5 times as long as they have not been put on hold by another patron. You can renew your items by accessing your account online, by phone or in person. Quick items are non-renewable. Medfield Library offers home delivery of library materials to home-bound community members. Call the library at 508-359-4544 for more information or use the form to get started! We love hearing suggestions about what you’d like to read, watch or listen to! Let us know any items you’re interested in having us purchase here. Did you know that every Massachusetts resident can sign up for a Boston Public Library card? Gain instant access to thousands of eBooks, movies, audio files, magazines and more!